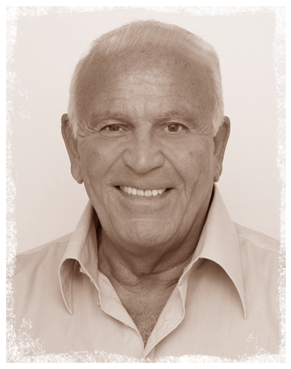 Enzo G. Castellari (born July 29, 1938 in Rome, as Enzo Girolami) is an Italian film director. He is the son of director Marino Girolami, aka Franco Martinelli. Enzo's flair for stylized action and memorable characters were just some of the things that made him stand out among his peers. He began his career directing spaghetti westerns, most notably: A Few Dollars For Django (1966), Go Kill and Come Back (1967), Go Kill Everybody and Come Back Alone (1968) and Keoma (1976) which is widely regarded as the last classic of the genre. After the decline of the spaghetti westerns, Enzo worked in the poliziotteschi (Italian crime) genre and directed several successful films including: High Crime (1973), The Big Racket (1976) and The Heroin Busters (1977). In the 1980s, Enzo tried his hand at post-apocalypse/sci fi subgenre films and made cult favorites such as The New Barbarians and 1990: Bronx Warriors. Most recently, Enzo's beloved "macaroni combat" classic Inglorious Bastards was finally released on DVD in the USA. Enzo also garnered a cameo role in Writer-Director Quentin Tarantino's World War II epic Inglourious Basterds, the title being a homage to Enzo's 1977 version which had a huge impact on Tarantino when he was growing up watching movies. This page was last modified on 9 June 2016, at 16:43.